Sometimes you don’t want eggs for breakfast. 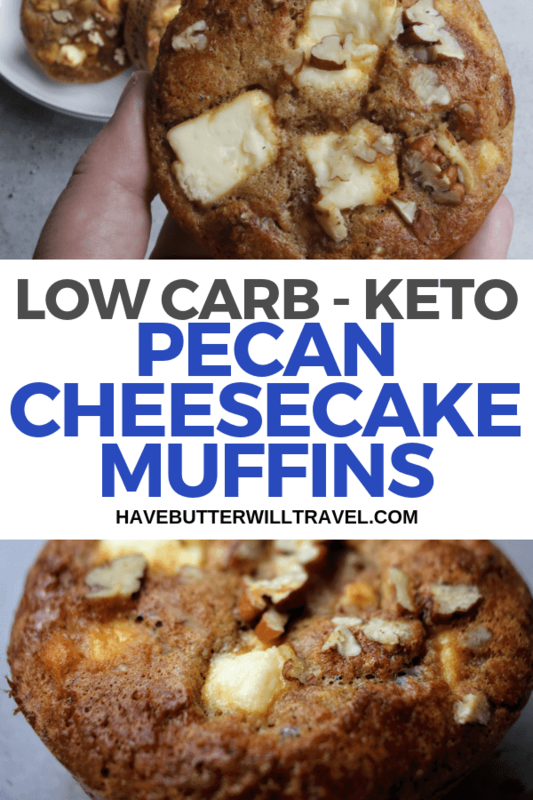 These keto cheesecake muffins are an excellent grab and go breakfast choice. They can be batch cooked and stored in the freezer. Pecan is one of our favourite nuts to use as we just love their flavour. These are a great option to give to your non keto family members as they are delicious. These are our favourite sweet treat and we love to have some stored in the freezer when we are craving something sweet. These are also an excellent option to take for a work morning tea or a pot luck. 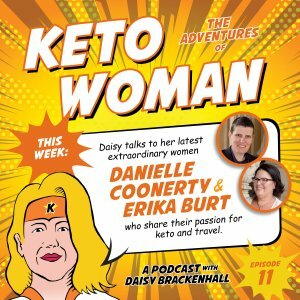 They will quickly become everyone’s favourite, even the biggest keto nay-sayers. We love Sukrin Sweetener and Sukrin Gold works really well in these muffins, as it is a brown sugar substitute. 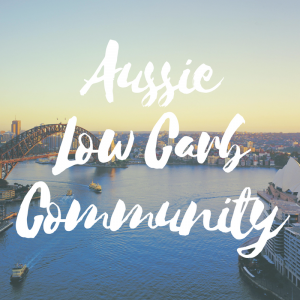 Australians! Don’t worry, the Sukrin products are available for us too. If you are interested check out Sukrin Australia. 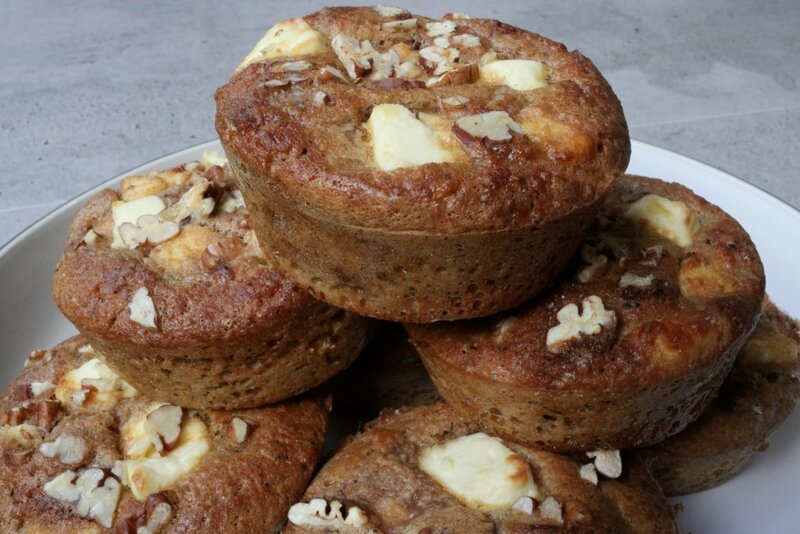 We would love to see your Keto Cheesecake Muffins so please tag us on in your photos Instagram! Make sure you check out our other sweet recipes. Muffins are a great for when you need quick sweet fix. 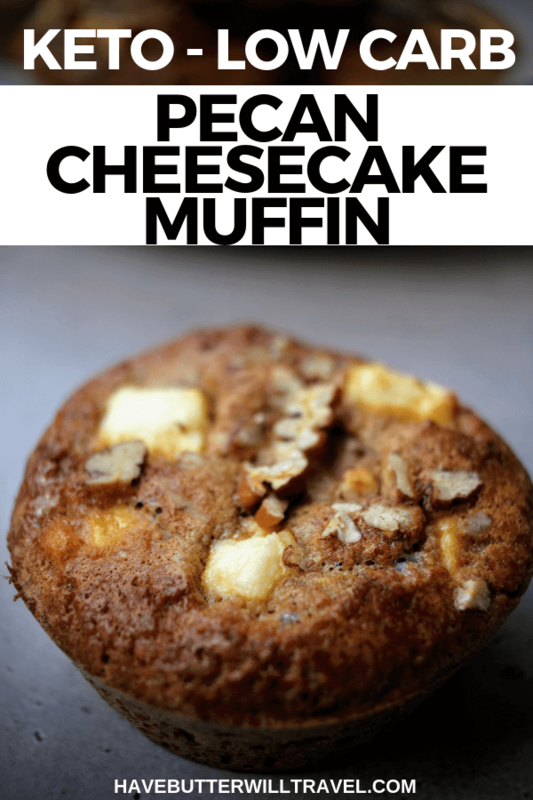 These sweet keto cheesecake muffins are popular with kids and the non keto family members. Divide the mixture into your muffin moulds. Hi! These look so good! I wanted to let you know that I shared this recipe on my 12 Best Keto Meal Prep Recipes post for #MealPrepMonday @ Keeping It Keto. 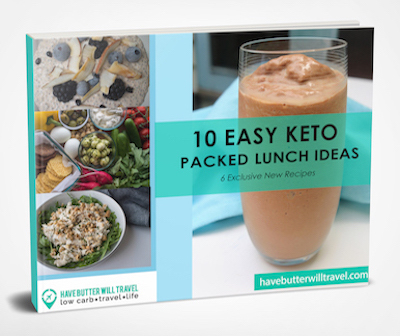 Thanks for sharing your recipes ♥ Keto on! Have you actually made these? I never understand people who rate things, what… by a picture? It’s frustrating for those of us who actually want to know if they are good. Not trying to be mean, but bake then rate. 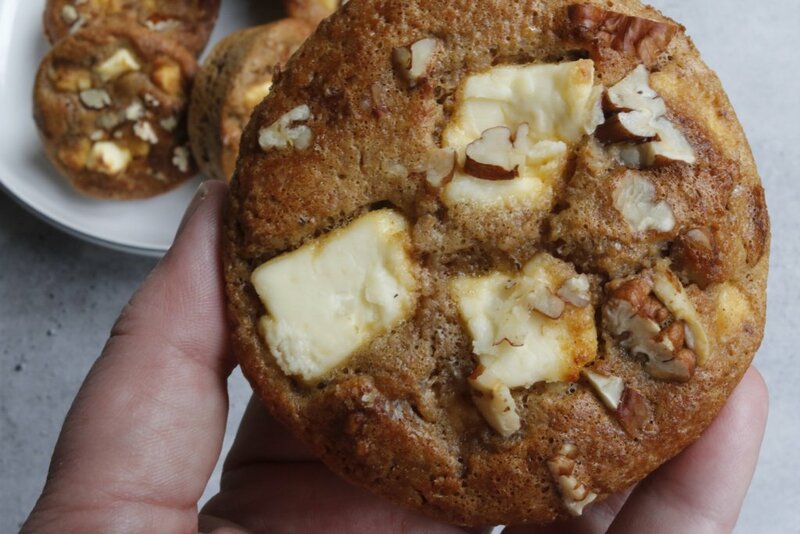 Pecan Cheesecake Muffins are beautiful. They keep really well & my family have asked when I am making more. Thanks for the feedback – great to hear Cheryl! Thanks Suzanna. So glad you enjoyed them. I hear swerve has a brown sugar now, im wondering if I could use that if a purchase it, and if it would be sweeter? Would i use the same amount? Hi Valorie, I have heard the same. I’m not sure if it’s 1:1 like the sukrin stuff is. If it says it’s a 1:1 replacement for brown sugar, then yes, you should be able to use the same amount. We haven’t tried it though so can’t say for sure. Made the muffins using Coconut Palm Sugar in place of the brown sugar. Couldn’t wait until they cooled completely to taste one! Yummy!!! Hi Eva, so glad you enjoyed our muffins. They are yummy aren’t they! Good to know they worked with coconut palm sugar. In case anyone else is curious I just wanted to mention that coconut palm sugar is not a low carb sweetener, and will impact your blood sugar the same way that regular sugar can. I just pulled these out of the oven and I’m having one with a cup of coffee – they are DELICIOUS! Only change is I used Truvia Brown Sugar Blend because I couldn’t find the brown sugar at our local store that’s mentioned in the recipe. Thank you for sharing this wonderful recipe! Will definitely be making again! Hi Mary, we are so glad you enjoyed them. Any brown sugar blend will work. We have recently heard that swerve have a brown sugar substitute now too. As we are in Australia, we have to order in the Sukrin. Definitely can’t buy it at the supermarket. Can I use regular swerve sweetener in place of brown sugar? Made these today and they are superb! I am in Peru now, and couldn’t find brown sugar substitute, so I used Gentle sweet, and grated abut 1TB of 100% chocolate bar into the mix. In Peru – Awesome! Thank you so much for your comment An’e. Adding chocolate to anything is usually a good thing. Hi Kathryn, thank you so much for your comment! We absolutely love the Sukrin products and are so happy they are available here again. Glad we could help you out. Good idea to place cubed cream cheese (separated )in the freezer for about 15 min before adding.That way they are more evenly distributed! 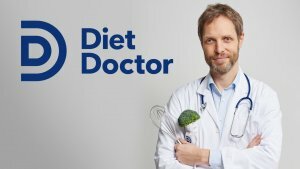 Can I use Blanched Almond Flour? ,I do not use Almond meal as,I am allergic to …Almond skins . Hi Kathleen, yes we use blanched almond meal (which is what we have available in Australia), blanched almond flour would be fine. Enjoy! I made these today and they were great!! Would like to make muffins with cream cheese and chocolate chips.. So glad you enjoyed them Michelle. Chocolate chips make everything better don’t they? These came out really well. I doubled the recipe, used 1 less egg, used only 3/4 of the recommended amount of sweetener- Swerve, and used 1/2 almond flour, 1/2 cassava flour. Next time though I will use the full amount of Swerve. Thanks for a great recipe. Delicious…….. I add maple extract instead of vanilla. So good with your morning coffee. Oh yum. Sounds great. Glad you enjoy them. Super quick and easy recipe for amazing muffins! Full of flavor and just the right amount of sweetness. My family loves them! Thanks for the recipe. So glad you like this recipe. It is our most popular recipe. It’s a big winner with all the family. Hi, Coconut flour is unlikely to work. It absorbs way more liquid than almond flour does. Other option would be to make half a batch instead. Also coconut flour and almond flour are not 1 for 1, you would need to use less coconut flour. Just some tips. These are amazing! I substituted the sugar free brown sugar with Lankanto golden monk fruit sweetener and it worked spectacularly. I used the same measurements as in the recipe. This is a decadent and luxurious muffin. We made some of these today and had forgotten just how good they are. We have some in our freezer now too. This really looks delicious, I will try to make one..thanks for sharing! Probably the best keto muffin I’ve had. No after taste. Followed recipe exactly. Next time I think I would blend half the cream cheese into the batter. Just seems like a lot of chunks. Delicious!